Color of Change is a nonprofit committed to building grassroots power for Black people through electoral and civic action. I oversaw a national SMS engagement program for the organization, helping to plan and execute textathons in several states supporting endorsed candidates, recruiting volunteers and connecting supporters with resources. I led a national effort that engaged almost 1500 participants by offering beginners data (excel, VAN) and digital skills (Facebook, Twitter, email) to historically marginalized groups (POCs, queer folks, others) by hosting 33 free 1 day trainings and 18 community events. 80% of the participants identified as women/people of color. In 2012 I helped manage a 20 state, $4.5 million mail program. I wrote a budget, oversaw vendors, proofread/approved mail. In 2012 I served as campaign manager for a first time candidate for US Congress from 22% name recognition to a resounding victory in a 5 person primary field. We raised over $300,000, executed a successful mail, radio and volunteer program and built an organization capable of challenging for a seat in the US House of Representatives. 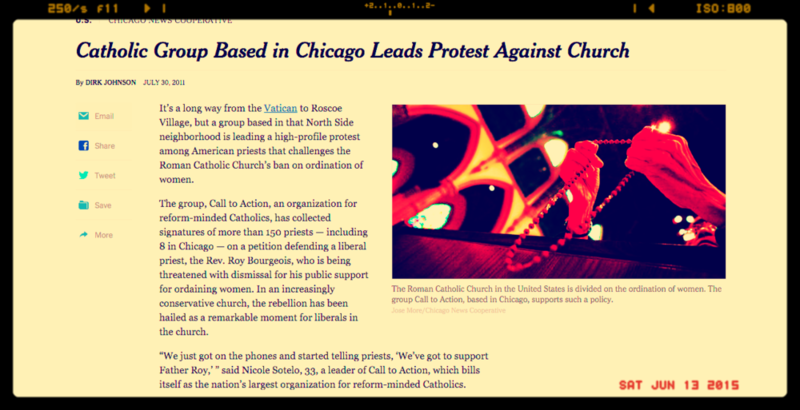 As Church Justice Coordinator I organized a campaign of nationwide vigils and over 200 priest signatures world wide signing in support of a threatened priest, yielded national press from New York Times, NPR, others and served as trainer for the national organizations 50+ chapters on grassroots organizing, web development, more. As campaign manager for Barbara Moore I built a largely online structure for a candidate for a seat on Cook County's water board -- a $2 billion dollar organization and the second largest landholder in the second largest county in the country. Because of the geographic size of the MWRD we spent a ton of time lobbying committeemen, holding mass location events (kayaks, townhalls) and encouraging activity through our website. As a consultant for the Alliance for Retired Americans I planned lobby days, prepped retired labor leaders for media interviews, organized the DC/MD/VA/WV regions annual conference and oversaw the seating of a new organization president. What didn't I do for Obama '08? I worked in several states (Nevada, Ohio, Missouri, Indiana) in a variety of roles. In Indiana I registered 5000 potential voters in a month as part of a coalition effort, in Missouri I served as Deputy Director of SEIU's statewide labor GOTV push. I served as an organizer in multiple other states laying the groundwork towards Obama's world changing election to the presidency. 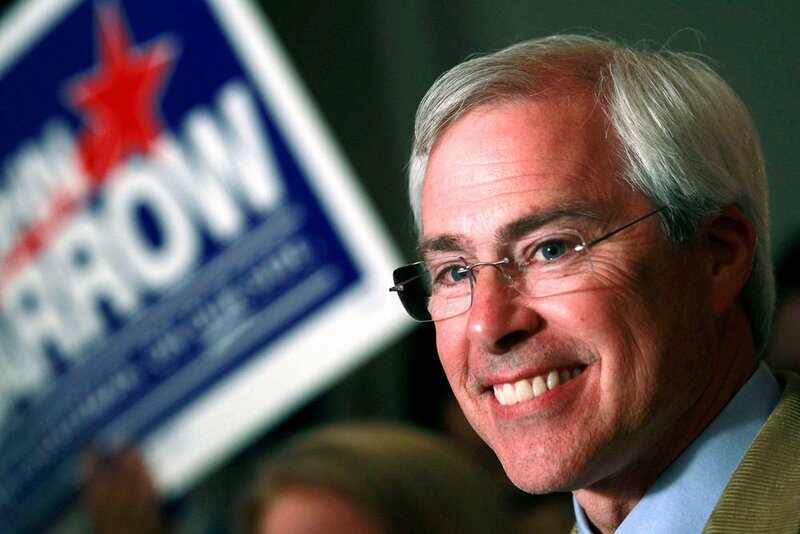 I served as Field Director on the re-elect campaign of US Congressman Jon Barrow in 2008, managing a team of 5 to victory. In 2007, I led a candidate to victory over 24 year incumbent of the Chicago City Council, leading a $400,000 labor expenditure. We built a voter database from scratch using Microsoft Access, board of election data and precinct maps (VAN was still a bit scarce in those days!) and led a team of 8 canvassers and a small army of volunteers to knocking over 24000 doors. 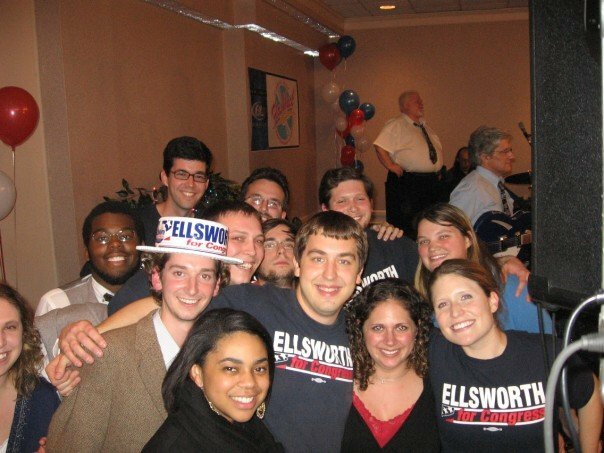 I served as a Canvass Director on Ellsworth's victory over 6 term US Congressman John Hostettler in 2006.